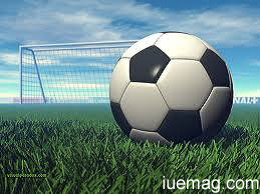 Soccer also called as football is the most popular sport in the world today. The origin of football can be found in every corner of history and geography. The Chinese played football as early as in 1700s. But football took its shape in England. The Football Association was first founded in England in 1863. England is home to, amongst others, the world's oldest association football club (Sheffield F.C. ), the oldest national governing body (The Football Association), the first national team, the oldest national knockout competition (the FA Cup) and the oldest national league (The Football League). Today England's top domestic league, the Premier League, is one of the most popular and richest sports leagues in the world, and is home to some of the world's most famous football clubs. FIFA (Fédération Internationale de Football Association), the international football body, was formed in Paris in 1904 and declared that they would adhere to Laws of the Game of the Football Association. The growing popularity of the international game led to the admittance of FIFA representatives to the International Football Association Board in 1913. The board currenty consists of four representatives from FIFA and one representative from each of the four British associations. A sport which started as military exercise and for recreation has made the players one of the richest earning people on the world today, highest being David Beckham (24.1Million Euros i.e., more than 1 Billion Rupees) followed by Christianio Ronaldo (22.9Million Euros) and Lionel Messi(19.3 Million Euros)-all in a year. Thus it has become one of the highest earning opportunities of the world!! Today, Soccer is played at a professional level all over the world. Millions of people regularly go to football stadiums to follow their favorite teams, while a billion more watch the game on television or on the internet. A very large number of people also play football at an amateur level. Football has the highest global television audience in sport. At the turn of the 21st century, the game was played by over 250 million players in over 200 countries, making it the world's most popular sport.